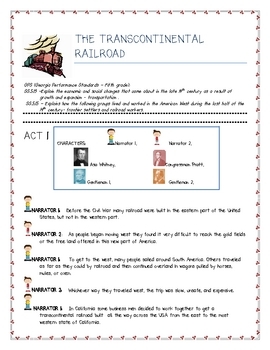 Your students will love this approach to history! 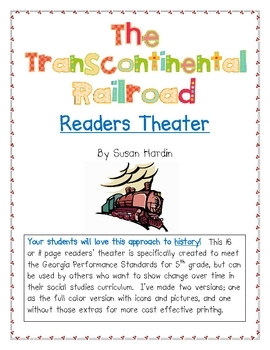 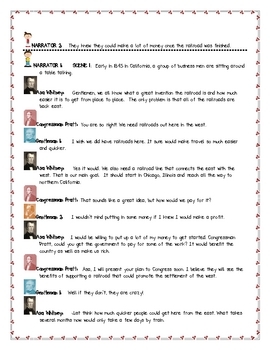 This 27 page reader's theater is specifically created to meet the Georgia Performance Standards for 5th grade, but can be used by others who want to show change over time in their social studies curriculum. 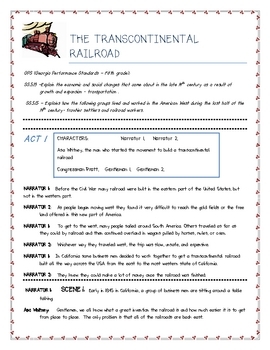 I've made two versions; one as the full color version with icons and pictures, and one without those extras for more cost effective printing.